A new anti-corruption committee has been formed in Saudi Arabia and it has wasted no time in carrying out an unprecedented purge. 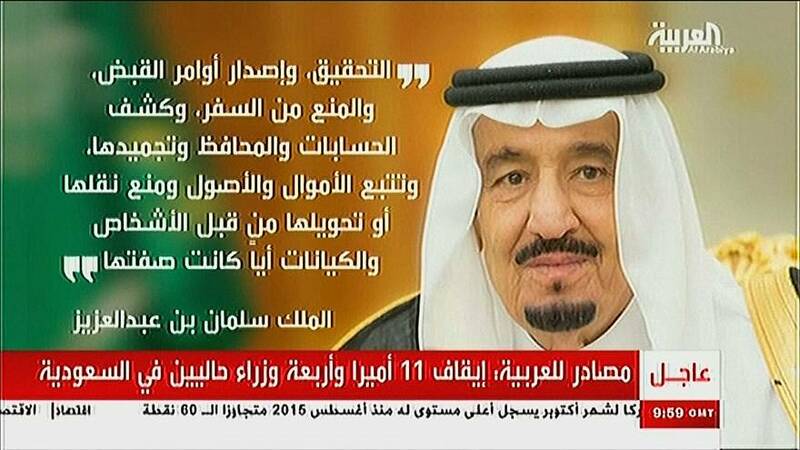 Saudi-owned Al Arabiya television said the body has detained 11 princes, four current ministers and tens of former ministers. King Salman has put in charge of the committee Crown Prince Mohammed bin Salman, who made global headlines last month by announcing that he wants a moderate Islam in Saudi Arabia. Separately, the powerful heads of the National Guard and the navy have been replaced. It all consolidates the position of the Crown Prince who already serves as defence minister. The king’s 32-year-old son, he was named heir to the throne in a June reshuffle.